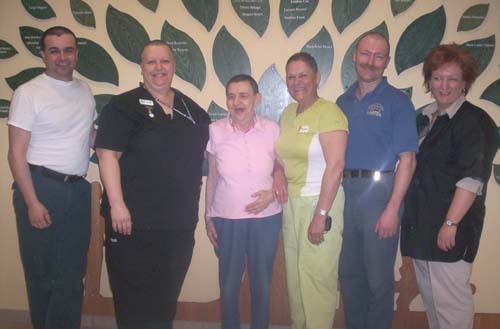 George Fraser, Monique Grenon, Sadie Mantysaari, Therese Teahen, Chris Dupret & Louise, Pioneer's Hairdresser all pose for a photo after they had their heads shaved to raise funds for cancer research. 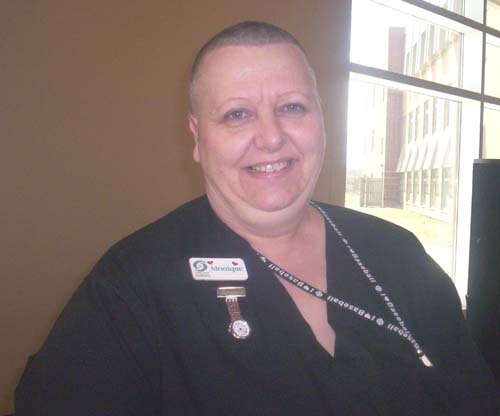 The event was called, "Shave For Hope" and it was held on April 8, 2006. Monique Grenon, a resident of Hanmer, was going to be the only one to take part in the event, but she challenged some co-workers and they, being good sports, joined in. 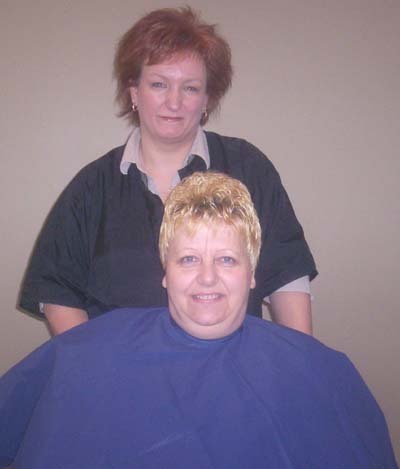 Monique explained her motivation, "This was for a good cause and hair will grow back. I did this in memory of my mother Leonne Raymond who passed away in 1984 and for my grandfather Elzear Proulx who passed away in 1980 they both died of cancer. Everyone else had their own reasons for doing this." Congratulations to Monique and all of the people involved in this event for helping raise awareness about the need for cancer research.